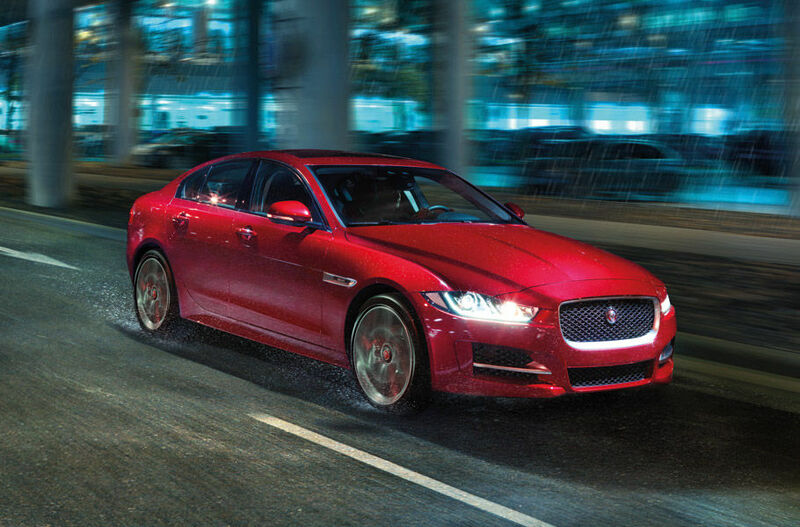 With its assertive looks and agile drive, XE is instantly recognisable as a Jaguar. 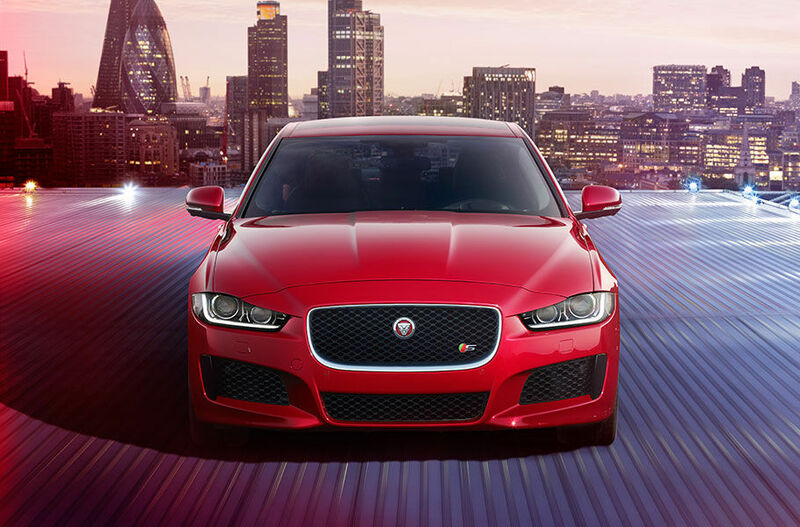 It feels like a Jaguar, it drives like a Jaguar – XE is a Jaguar to its core. XE cuts through the air with a drag coefficient as low as 0.26. This aerodynamic ability is matched by engine capability. The Ingenium 2.0 litre 4-cylinder 300PS Turbocharged Petrol engine delivers outstanding usable power and torque. For excellent acceleration and effortless overtaking, maximum torque is available between 1,500-4,500rpm. XE immediately catches the eye - standing out from the competition with the great proportions and clean surfaces that form the core of Jaguar design. 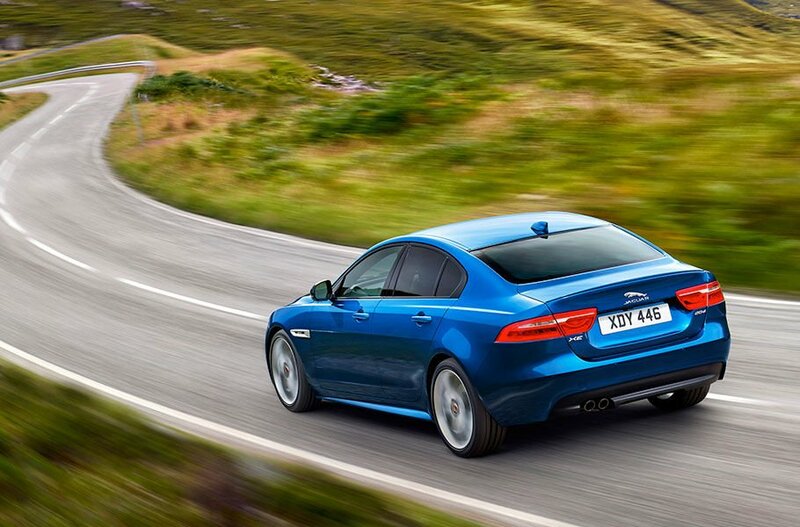 InControl is our suite of advanced technologies that links both you and your XE to the wider world. Featuring intuitive and advanced integrated technologies, InControl ensures that everyone can make the most of their journey. 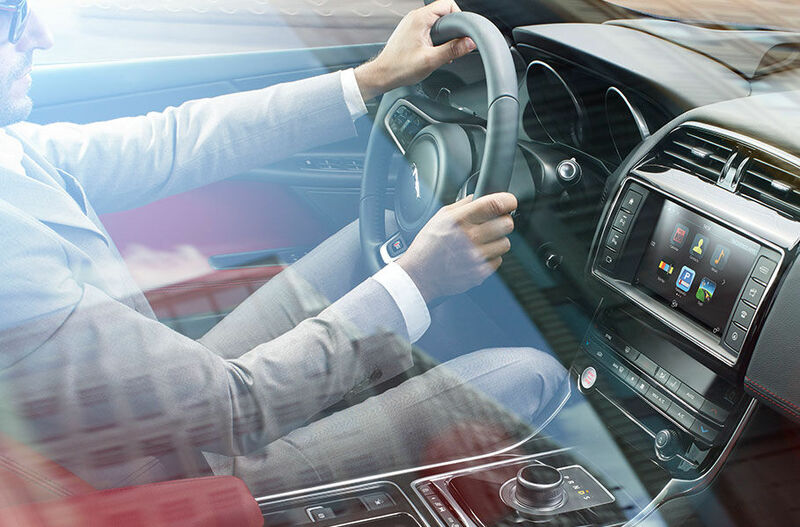 The 10” Touch Pro screen at the heart of the centre console supports swipe and pinch gestures and delivers rich audio-visual entertainment and navigation. Offering innovative and intelligent technologies to keep running costs down, as well as competitive insurance group ratings – XE really is the smarter choice. Not only has XE been awarded the maximum rating of 5 Stars for safety, at the time of testing, XE was the safest car in the large family car category, having triumphed in Euro NCAP’s prestigious Best in Class Cars of 2015 awards. To achieve best in class levels of safety, and receive the maximum 5 Star rating in Euro NCAP’s tests, XE offers outstanding crash protection, scoring highly in all categories including Occupant and Pedestrian safety. XE comes equipped with a range of active safety systems including Emergency Braking to further enhance the world-class level of safety. XE has been designed from the ground up with the needs of businesses in mind. It delivers highly competitive Total Cost of Ownership, with CO2 emissions from 106g/km and fuel consumption from 4.1l/100km. Designed to stand out with unique body styling and exclusive 18" wheels. The most extreme performance Jaguar ever. For added luxury, with an interior beautifully crafted from the finest materials. The pinnacle of XE luxury, with elegance and sophistication at its heart. Assertive sporting style, with an exterior sports trim and eight-way adjustable sport seats. A new, exclusive combination of dynamic sporting style and refinement. The stylish and confident choice, with a unique combination of striking design details. Unadulterated sports performance with an incredible 3.0 litre V6 380PS Supercharged engine. * As we roll out InControl, specific features described may be optional, and market or powertrain dependent. Please consult your country-specific Jaguar website or local Jaguar Retailer for availability and full terms in your country. Certain features require an appropriate SIM with a suitable data contract which will require further subscription after the initial term advised by your Retailer. Mobile connectivity cannot be guaranteed in all locations. Information and images displayed on this web page in relation to the InControl technology, including screens or sequences, are subject to software updates, version control and other system/visual changes depending on options selected. All in-car features should be used by drivers only when safe for them to do so. Drivers must ensure they are in full control of the vehicle at all times.